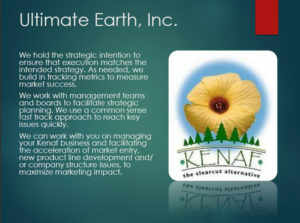 MICHAEL ELLEY — PRESIDENT / CEO — ULTIMATE EARTH, INC. He established manufacturing, marketing and sales for national and international distribution; was company spokesperson; and international negotiator. Mr. Elley, as Vice President of Non-Waste Tech., Inc., has spent over 20 years representing internationally renowned inventor, Dr. Godofredo Monsod, Jr. (Philippines), who has developed 42 products from the Water Hyacinth. 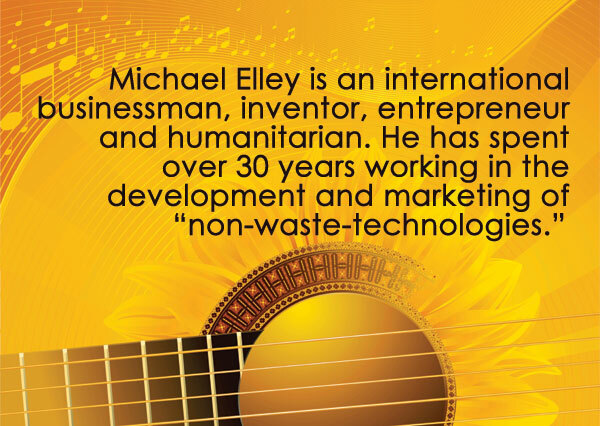 Mr. Elley has developed Emerging Industry, as well as Fully-Commercial Facilities concepts and capacities. As President/CEO of Ultimate Earth, Inc., Mr. Elley developed financing, marketing and promotion (both nationally and internationally) for Scientific Utilization, Inc. (SUI)- developer of Alternating Current Plasma-Torch Technology for the remediation of waste and the creation of electricity.